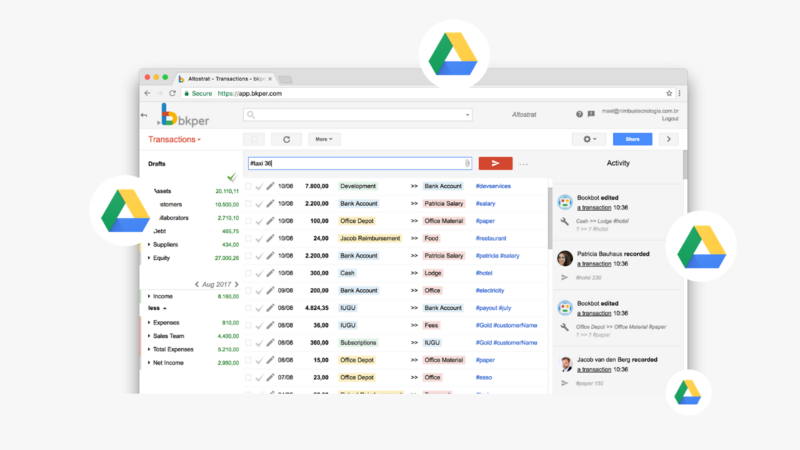 Bkper is great when it is used together with Google Drive for Mac/PC. You can, for example, save your OFX files from your bank account straight to a Drive folder and get all transactions automatically recorded into your book, without the need of even opening the web app. Bind a Google Drive folder to your book, so you can drop files in that folder and get them automatically recorded into this book. You can also use Google Drive android App to scan your documents and record them with three taps straight into your books. Select a folder than save the integration. After that, every file dropped into this folder will be imported/recorded into your book. We currently support images, PDF's and OFX files. Import transactions. See Importing OFX files article.